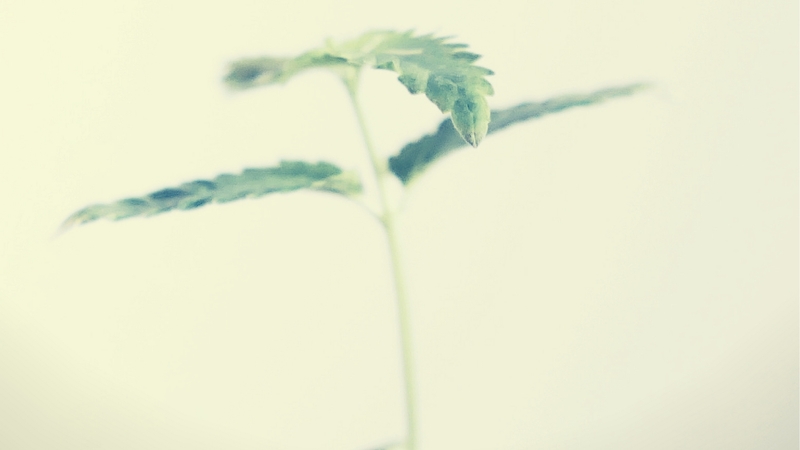 This week we are continuing on from a previous article on plant growth regulators/retardants (PGR’s) and hopefully progressing the discussion as to whether PGR’s should or shouldn’t be utilised in the cultivation of Cannabis. So, buckle your seatbelts, folks: this week’s article will contain a lot of jargon, rather specific nomenclature and quite a bit of science, as is the nature of this subject. As mentioned in our previous article there are potential health risks associated with human ingestion and inhalation of PGRs. We’ll be expanding on this subject and hopefully providing as much information as possible to help UK cultivators decide for themselves whether it is worth risking their long-term health for short-term financial gains, as well as asking whether it is right to add PGR’s to Cannabis and selling it without informing the consumer potentially damaging their health. They are synthetic chemicals specifically designed to moderate plant behaviour, and many are potentially extremely toxic. Most of Europe and the UK currently have either banned them or strictly regulates them, classifying them as pesticides, herbicides or fungicides. One of these PGR’s masquerading as a fungicide and is available in large parts of Europe is Paclobutrazol (PBZ) which is currently being used in Britain in the cultivation of many perennial fruits like apples and pears. Paclobutrazol inhibits the natural plant hormone Gibberellins, which is responsible for cell elongation and cell division. This, in turn, limits the height of the plant and internodal length. As a result, fruits and flowers come out more compact and dense, a highly desired trait with certain plant species such as Cannabis, and they also initiate earlier flowering, another desirable trait. Its use is prohibited in many countries as the World Health Organisation (WHO) lists Paclobutrazol as “Moderately Hazardous” and the US Environmental protection agency (EPA) lists it as “not classifiable as to human carcinogenicity” however this may be due to the absence of such tests, given the fact it isn’t used on consumable crops, so isn’t subject to such mandatory tests. It is important to note that there are no known studies looking at the effects of the volatilisation of Paclobutrazol and the effects of human inhalation. Even the US, who have a rather questionable history with chemical additives in their food chain won’t allow Paclobutrazol to be a part of it. In fact, it is only licensed for use on outdoor ornamentals, greenhouse ornamentals and general turf. In order to answer this question, we must first understand what plant hormones are and how they function within the plant. Plant hormones called Phytohormones are naturally concurring and are similar to animal hormones. They play a fundamental role in the growth, development and regulation of the plant throughout its life cycle. The smallest amount of these naturally occurring endogenous chemicals allows the plant to turn on or off certain genes and regulates the expression of certain characteristics, making some appear more prominent than others and allowing the plant to adapt to its environment. Considering they’re such a relatively simple molecular structures they have huge and diverse effects on the plant development and growth cycle. Natural regulation of these plant hormones comes through environmental cues and receptors as well as the plant’s genome. 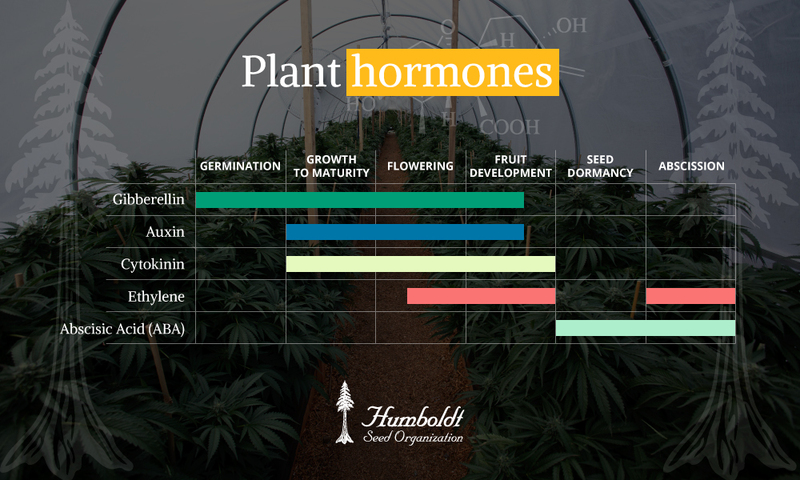 It is traditionally accepted that there are five major classes of endogenous naturally occurring plant hormones that play key roles in a plants life cycle. Each of these has their own regulatory functions and roles in the plant’s natural growth cycle. They can either inhibit or increase cell growth and activity. They most often work in synergy with one another in varying ratios throughout a plants life. The above table shows the natural growth cycle a plant will go through and how it utilises the five major classes of phytohormones. There has also been since the original discovery of these five major classes additional types of phytohormones such as Brassinosteroids, which have also been found to regulate a wide range of physiological processes including plant growth, development and immunity. Again, far too little is known about plant hormones models when compared to mammalian hormones, so it is possible that there are many more to be discovered, and there is likely much more to be learned about the effects of hormone manipulation in plants in this way. Synthetic PGR’s are chemical additives created to mimic and emulate these naturally occurring Photohormones and the processes they stimulate and regulate. Given the known dangers of these products, they are strictly only used under license by the USDA (United States Department of agriculture) on ornamental crops and other crops not destined for human consumption. However, because of the current federal legal status of cannabis, neither the USDA, FDA or any other regulatory agency or public authority is inclined to either regulate or to provide information about the detrimental effects of these substances on individual health. Given the immense legal grey area created by prohibition the producers of cannabis specific plant feeds, nutrients and chemical additives are less stringently regulated than edible and ornamental crops despite there potentially being a bigger exposure risk due to the volatility of the chemicals when combusted in consumption. This allows and arguably incentivises unscrupulous growers to use and abuse these substances. Most of which have been banned from the majority of western countries for use on consumable crops. So if you want to reduce any potential harm from any unlisted ingredients and additives in cannabis specific feeds then cannabis needs to be legalised so that quality control and regulations ensure that the cannabis that is produced for consumption by the public is of the highest quality and free of chemical and minerals that are not suitable for human consumption. This would also force the regulation of these chemicals and their producers. There is also the “Cocktail effect” to take into consideration which could also further compound the potential harms created by these substances. We didn’t find any research on the cocktail effect specifically focusing on volatility e.g. burning and breathing into the lungs. To be frank, sometimes it seems to be the market itself that is pushing the demand for PGR’d cannabis. By demanding denser, harder “nugs” the average consumer is unfittingly motivating growers to use potentially dangerous chemicals, untested and unsafe additives in the cultivation of their cannabis, but what good is wealth without health? Post-prohibition any substance that has or is potentially harmful to human health will be banned or at the very least clearly labelled with a warning and be strictly regulated in the same way as any other potentially dangerous legal product. Ultimately not enough is known about the long-term effects of PGR’s on plants, let alone humans, and with no research being conducted into the dangers around volatilising and inhaling these compounds it is advisable to give Cannabis grown with PGR’s a miss. Using potentially dangerous chemicals just to make money while harming your fellow man is low.